Dr Audrey Lustig, Associate Investigator at Te Pūnaha Matatini and postdoctoral researcher with the Geospatial Research Institute (GRI) Toi Hangarau, University of Canterbury, presented her work at the 2018 British Ecological Society (BES) held in Birmingham, UK, in December. 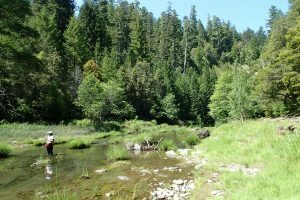 Audrey, whose research is focused on spatial modelling of species distribution, presented her paper on regional pest control at the conference, the second largest annual meeting for ecologists in the world. With more than 500 talks and 200 poster presentations, there was an international flavour, which really added to the diversity of speakers, topics, systems and organisms discussed. 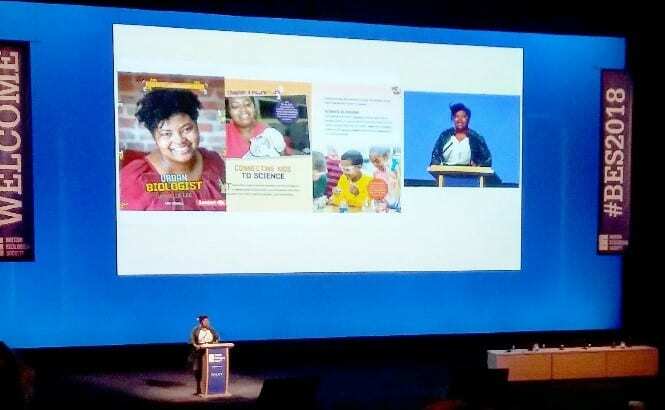 The BES has taken a national leadership role in promoting diversity, equity, access, and inclusion in science and academia, reflected by a various new initiatives meeting diversity targets across gender, race, and sexual orientation during the event. This included a 1:1 gender ratio at the plenary session, a ‘women in science’ networking session, a LGBT+ and Trans mixer, gender neutral toilets, a ‘meet the plenary speaker for early career researchers’ session, and more. “The wonderful plenary sessions by Samuel M. ‘Ohukani‘ōhi‘a Gon, III on using the Hawaiian Isles as a Model for Biocultural Conservation and by Danielle Lee on cultivating a generation of scholar in your communities were a major highlight of the academic program,” said Audrey. One of Audrey’s fellow speakers, biologist Danielle Lee, presenting during the BES conference. 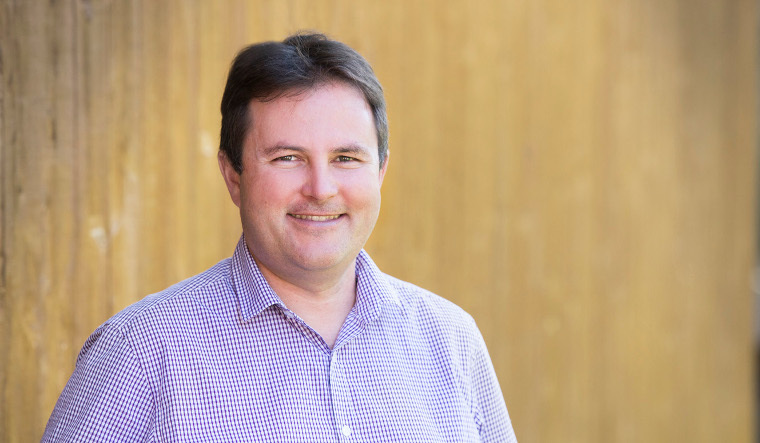 Shaun Hendy, Professor of Physics at the University of Auckland and Director of Te Pūnaha Matatini, has been appointed to the Board of Directors for Callaghan Innovation. Shaun’s appointment was announced recently by the Minister for Research, Science and Innovation Hon Dr Megan Woods. Shaun will sit on the Callaghan Board for a term of 3 years. 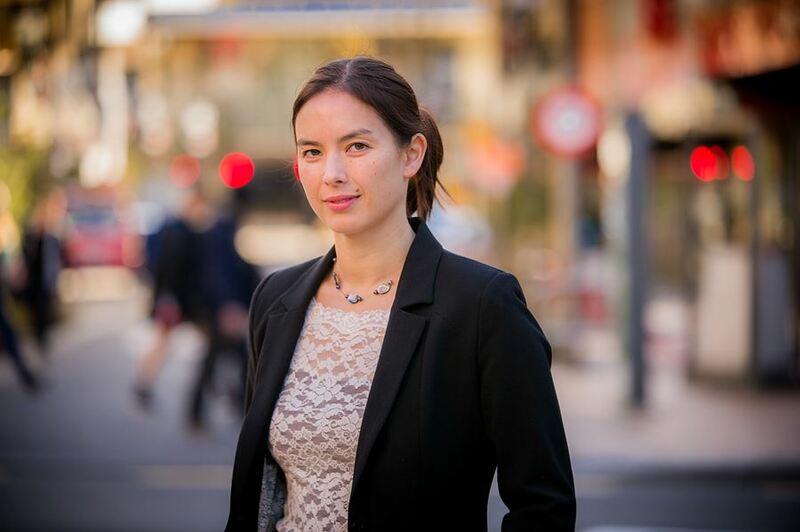 Other new appointments announced by Dr Woods include Jennifer Kerr, who is on the board of New Zealand Trade and Enterprise, and sitting members Stefan Korn, George Gong and Robin Hapi, who have had their terms extended. Te Pūnaha Matatini is delighted with the news of Shaun’s appointment and wholeheartedly congratulates all of the new appointees. As many of you will be aware, our director Shaun Hendy has been travelling a lot differently this year. Despite being a frequent domestic and international traveller, Shaun decided that for 2018 he would set an example and highlight his concern about climate change by not using air travel for the entire calendar year. The hashtag #nofly2018 was born and, from the first day in January, he has walked the talk – effectively turning his back on flying as a means to get around, favouring instead modes of land transport that emit less carbon. Various news outlets have covered Shaun’s journey over the year, including Radio New Zealand and the New Zealand Herald. So, now that we’re into September, how is he getting on? Well, very impressively according to the stats. By mid-September 2017, Shaun had made 10 return flights from Auckland to Wellington, at a cost of 2.66 metric tonnes of CO2 (equivalent)*. So far this year he has been to Wellington and back six times (once by car, three times by train, and twice by bus) at a cost of just 0.458 metric tonnes of CO2 (equivalent)*. What is more he’s got more done in Wellington this year: in 2017 his 10 flights gave him 10 business days in Wellington, while in 2018 he has had 21 working days down the capital. In addition to reducing his carbon footprint, Shaun says one of the great advantages to taking it slower by road or rail is that you can actually get a lot of work done on the way and plan in more meetings with investigators in one trip. Te Pūnaha Matatini, a national Centre of Research Excellence, has investigators spread across New Zealand. 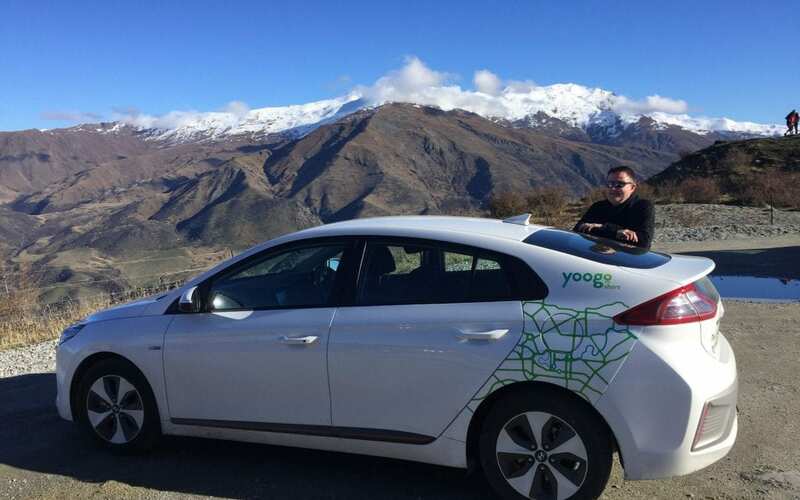 On his most recent trip, Shaun was also sponsored by Yoogo Share, an electric vehicle share company that has 100 electric vehicles based in eight locations in Christchurch. Luckily, there is a growing network of charging stations across New Zealand, which means electric vehicle users can get to most places without too much trouble. Follow Shaun on Twitter for #nofly2018 updates! Keep up-to-date with Shaun Hendy’s travels on Twitter by following the #nofly2018 hashtag. *Calculated using the Enrivo-Mark Travel Emissions Calculator. In the summer of 2016-2017, Te Hiku Media and Te Pūnaha Matatini co-funded a number of student internships – work from which led to the development of Kōrero Māori – a project to teach machines how to speak te reo Māori. One of the interns was Jamie Chow, a conjoint BComm/BEng (Honours) degree student from the University of Auckland. Jamie’s work on Te Hiku’s Data Analytics and Visualisation Project involved using online audience data to measure the performance of the organisation’s digital platform, matching it with other information such as demographics and geographical data. Following his 10-week summer internship, Jamie continued working on the project for Te Hiku in part-time employment over the course of 2017. Jamie was able to create visualisations of the data that allowed Te Hiku staff to quickly understand and interpret the behaviour of their audience. Staff can now immediately examine their content for audience engagement, allowing them to adapt their future programming. “The project mainly involved developing tools to obtain usage data for their online platform and present this data in a suitable form to their staff, producers, and content creators,” says Jamie. “My project was very self-driven so it was always challenging and engaging. It was clear even from the beginning that I would learn a lot throughout the project. Te Hiku Media seemed to be pleased with the results and I’m happy they’re using and benefiting from my work. Jamie Chow, Te Pūnaha Matatini 2016-17 summer student intern (centre), with Keoni Mahelona, Te Hiku Media (left) and Shaun Hendy, Te Pūnaha Matatini (right). Te Hiku’s Data Analytics and Visualisation Project led to discussions about the need for ICT tools for te reo Māori. Working together, Keoni’s team developed the Kōrero Māori project to create computer language models for te reo Māori – the basic tools which will allow machines to be able to transcribe and speak the language. Keoni is optimistic about how Te Hiku and Te Pūnaha Matatini can collaborate in terms of research direction in the future. “I do look forward to us continuing to work together… and doing research around Te Reo, language processing and also looking to the languages of the Pacific – because there’s a lot of similarities,” says Keoni. “If we can turn these into machine models, perhaps we can learn something about the evolution of our languages. Keoni says that Te Pūnaha Matatini has been very helpful and open in terms of how the data are managed. “It’s about managing data in a way that aligns with our tikanga and our values, as Māori and as a Māori organisation and as indigenous people. Our language is our culture. It’s our identity. We’re talking about giving that to a machine and I guess the question comes, well, who owns that data or who owns the machines that have access to that data,” explains Keoni. Students who’ve taken part in previous summer internship programmes run by Te Pūnaha Matatini have expressed a high level of satisfaction with their experiences. Indeed, the 10-week paid internship programme provides an excellent opportunity for students to hone their data analytics skills while working for organisations in a real-world setting. A total of 21 undergraduate and postgraduate university students from around New Zealand were selected for our 2017-18 programme. 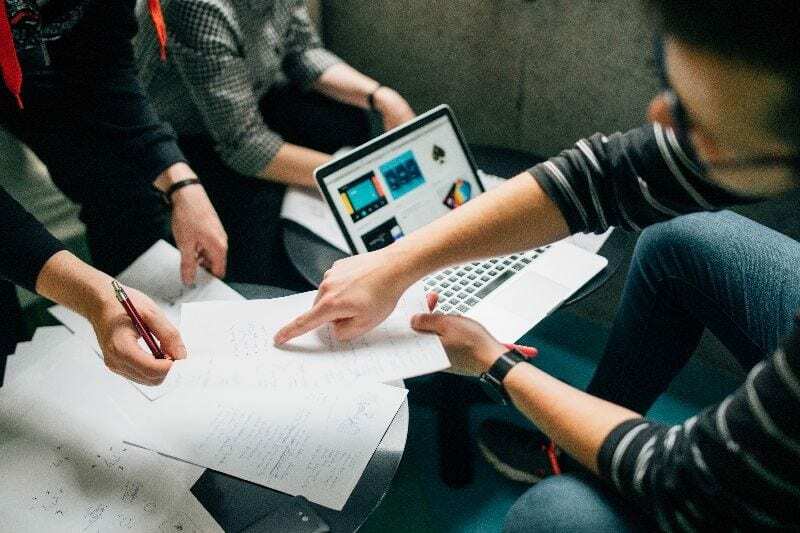 Divided into teams, the interns were placed on a wide range of projects working for various organisations, including Iwi, government and private firms based in either Auckland or Wellington. There were some exciting new opportunities. 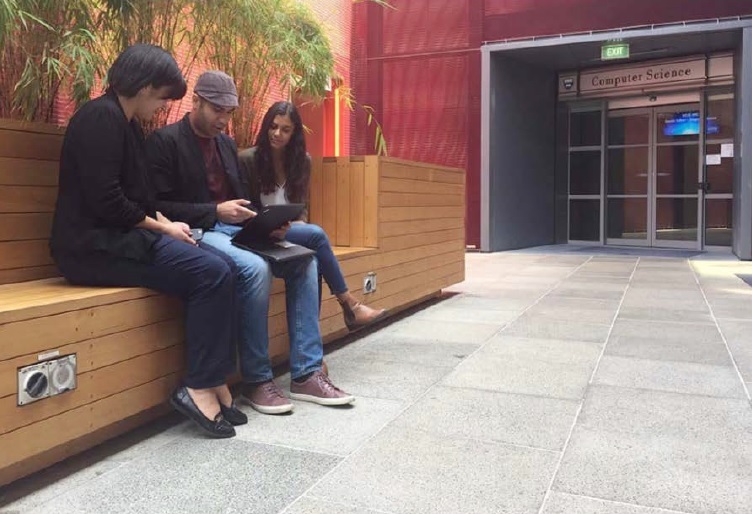 One team, for instance, were placed on a project with Dragonfly Data Science and Te Hiku Media based in Wellington. Their internship involved work related to Te Hiku’s Kōrero Māori project, developing language tools that will enable speech recognition and natural language processing of te reo Māori. This requires the collection of more than 100,000 sentences and 250 hours of Māori language corpus. Once complete, it aims to provide these language tools to the Māori ICT industry. One of the student interns on this project was William Asiata, a BSc Mathematics graduate from the University of Canterbury and a current Master of Information Technology student at the University of Auckland. 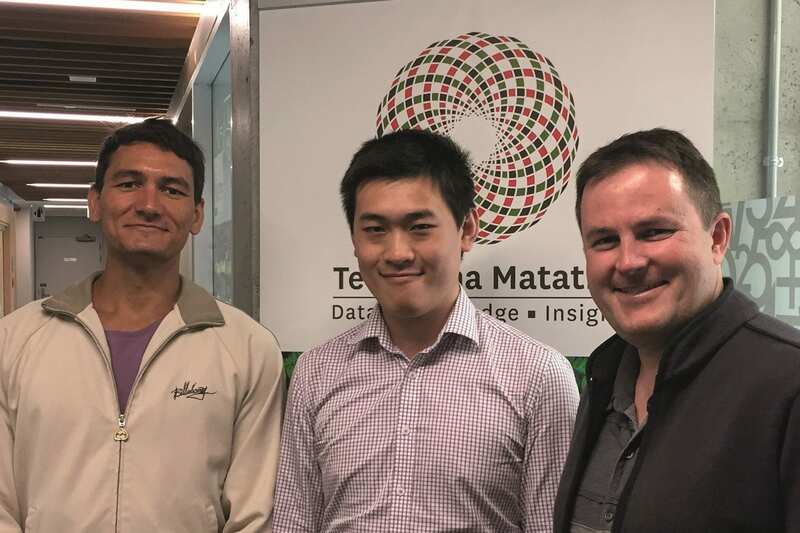 “As a result of the internship I was able to generate a corpus of all te reo Māori spoken in Parliament which will be included in the greater corpus used to train the digital natural language processor language model,” said William. “As an interesting by-product we also produced some statistics about the historical usage of te reo in Parliament. I had the opportunity to learn and practice the Python and R programming languages and exercise data processing skills. “I believe that it was a great opportunity for an inexperienced student to sharpen one’s skill set, to clarify future career goals, and to gain direct insight into the ICT and data science industries through practical work experience on meaningful, high-impact projects and the chance to learn directly from working professionals,” he added. Another team worked on a project supporting research by Kate Hannah, Te Pūnaha Matatini’s Executive Manager, into the historical representation of women in science. 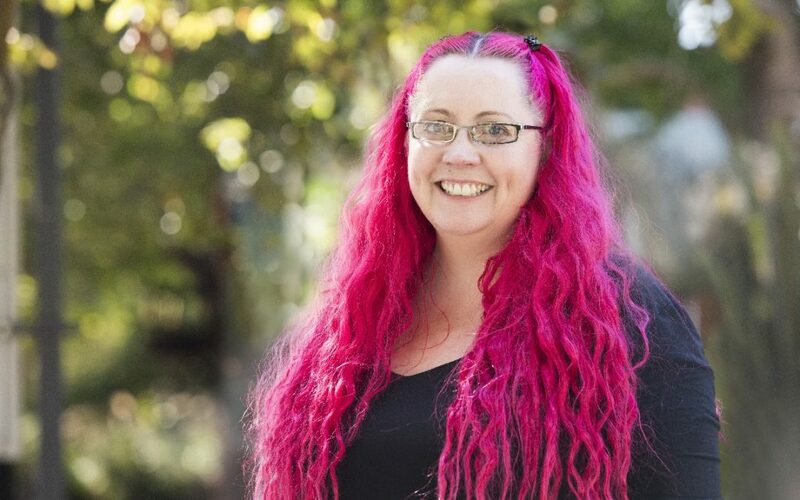 Emma Vitz, a statistics and psychology graduate from Victoria University of Wellington assigned to this project, researched an algorithm that classifies people by gender according to their first name, and blogged about the ethical pitfalls of such an approach.  Emma also began research into networks underlying science collaboration in New Zealand. 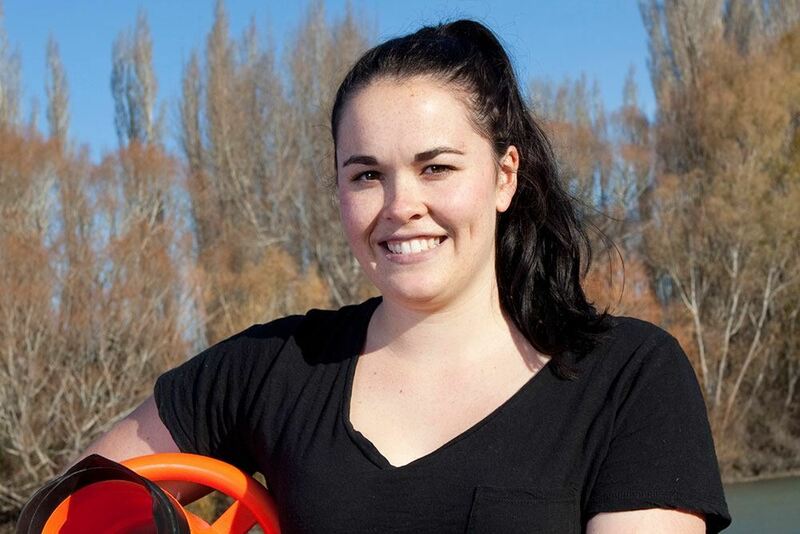 “I particularly enjoyed using both R and Python in the internship, and collaborating with researchers and other interns from Te Pūnaha Matatini,” said Emma. Also on the team was Beth Rust, a BA (Hons) history graduate from Victoria University of Wellington, who conducted a literature review of the background and achievements of women in science. 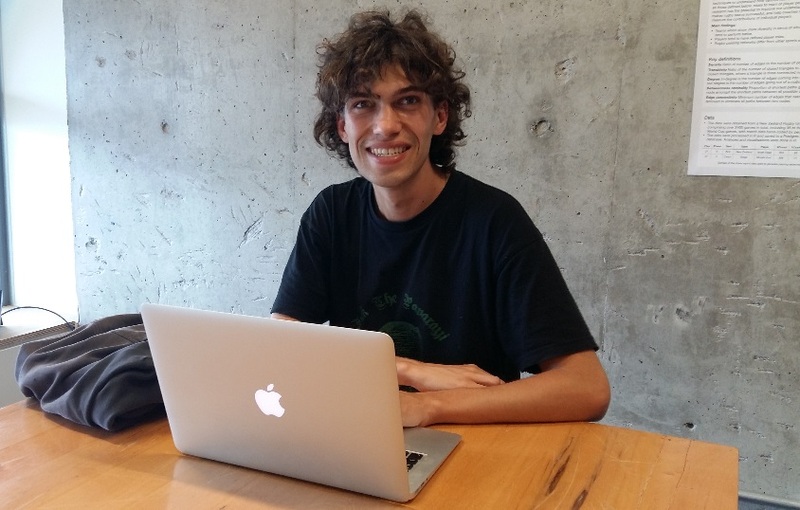 Te Pūnaha Matatini Whanau member Stephen Merry, who is pursuing a PhD in mathematics at the University of Canterbury, also took part in the internship programme working with the Social Investment Agency in Wellington. Following the programme, interns were invited to blog about their work for the Te Pūnaha Matatini website and these articles resulted in very positive feedback on Twitter – with even some New Zealand parliamentarians chiming in! A Te Pūnaha Matatini research project that aims to improve the way in which scientists connect and work with Māori has been awarded $100,000 in funding by New Zealand’s Ministry of Business, Innovation & Employment (MBIE). The project, part of MBIE’s Te Pūnaha Hihiko: Vision Mātauranga Capability Fund, will be led by Dr Tara McAllister (pictured above), an environmental scientist with the University of Auckland, in collaboration with ecologist Dr Cate Macinnis-Ng and earth systems scientist Dr Daniel Hikuroa, Principal Investigators with Te Pūnaha Matatini at the University of Auckland. Importantly, the project team will partner with Mahaanui Kurataiao Limited, an environmental and resource management advisory firm based in Canterbury. While there are some excellent examples of scientists engaging well with Māori communities, there are also instances when connecting has been a struggle. “We want to look at how we make those interactions more successful, more productive, and more workable for everybody involved,” Dr Macinnis-Ng says. The project will be conducted in a reflective way so the project team can understand what works best for the different groups involved. It will also develop te reo science materials appropriate for school curricula. “We’ll be developing some teaching materials for kura kaupapa to make science more accessible to everyone,” says Dr Macinnis-Ng. The project will be very important to Te Pūnaha Matatini’s wider research programme, says Shaun Hendy, the Centre’s Director and Professor of Physics at the University of Auckland. “Building close engagement with Māori communities and learning about the mātauranga of complex systems is a wonderful opportunity for us,” he says. Project lead Dr Tara McAllister (Te Aitanga a Mahaki) out in the field. Tara has a strong research focus on freshwater ecology and management. 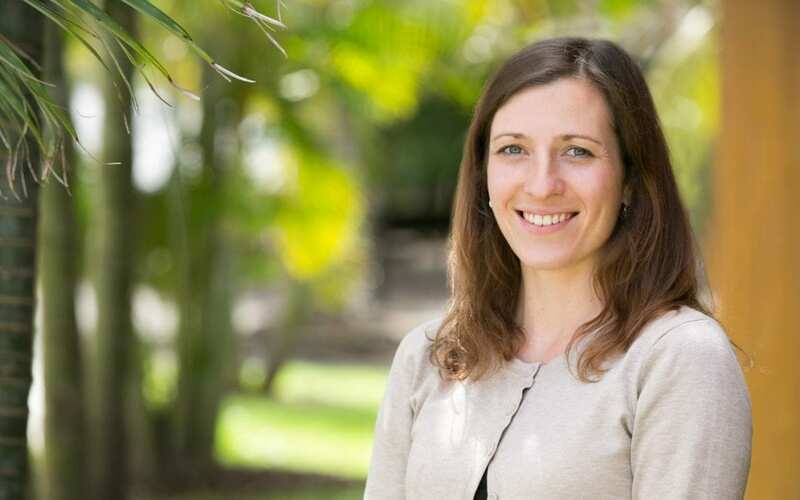 A new report co-authored by Dr Isabelle Sin, Te Pūnaha Matatini Principal Investigator from Motu Economic and Public Policy Research (pictured), has revealed that mothers experience an average 4.4% wage decrease after having a baby. The report’s findings made the front page of the New Zealand Herald print edition, with commentary from Associate Professor Siouxsie Wiles – also a Te Pūnaha Matatini Principal Investigator – and her husband and mathematician Professor Steven Galbraith, both from the University of Auckland. Check out the article here. Isabelle Sin was also interviewed on RNZ’s Nine To Noon – listen in here. The 2018 Kiwibank New Zealander of the Year Gala Awards were held in Auckland last night, with much-admired Kristine Bartlett, rest-home carer and pay equity campaigner in the healthcare sector, taking out the top honour. Kristine’s fellow nominees included Mike King, well-known comedian turned mental health and suicide prevention campaigner, and our very own Siouxsie Wiles, award-winning microbiologist and science communicator, and principal investigator with Te Pūnaha Matatini. Siouxsie’s research involves diseases that affect vulnerable children, in particular how to reduce the high rates of infectious diseases in New Zealand kids. Professor Shaun Hendy, Director of Te Pūnaha Matatini, says it was was an incredible achievement for Siouxsie to be named as one of the three finalists for Kiwibank New Zealander of the Year. Congratulations Siouxsie for your magnificent mahi and for being a great Kiwi. Aroha nui! What better news to start the year than one of our Principal Investigators featuring on the 2018 New Year Honours List? Sally Davenport, Professor of Technology and Innovation Management at Victoria University of Wellington, Director of the ‘Science for Technological Innovation’ National Science Challenge and Commissioner at the New Zealand Productivity Commission, has made the list in becoming a Member of the New Zealand Order of Merit (MNZM) for services to science. 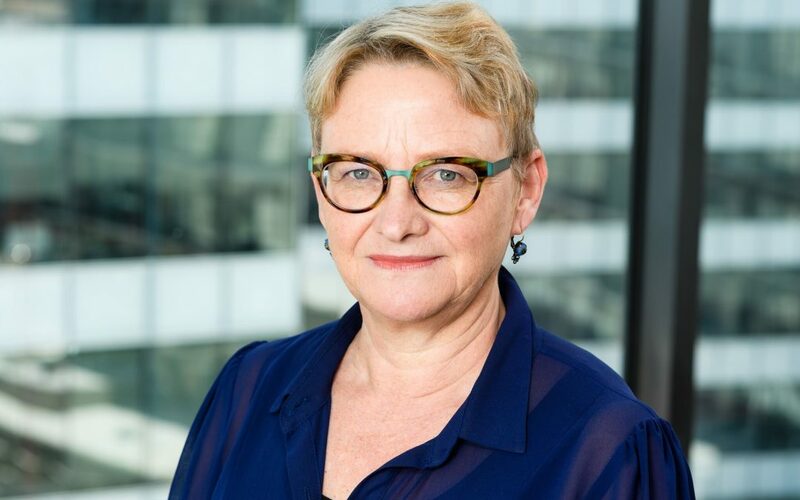 Since beginning her career as a science and technology lecturer at Victoria University of Wellington in 1991, Sally has certainly emerged as one the country’s strongest voices and most passionate leaders in the fields of science, technology, management and innovation. Well done Sally. All of us here at Te Pūnaha Matatini extend our warmest congratulations for your thoroughly well-deserved appointment. Read more about Sally here. Te Pūnaha Matatini Whānau PhD student Caleb Gemmell from the University of Auckland was recently interviewed by the NZ Herald about his ground-breaking research using social network analysis to examine ancient artefact movement in pre-European New Zealand. Supervised by Principal Investigators Dion O’Neale and Thegn Ladefoged, Caleb’s research stems from work being done in a larger study funded by a Marsden grant. To read the NZ Herald article and find out more about Caleb’s research, please see here.